So you have a tournament coming up and it’s time to hit the water in hopes of figuring out anything that will give you an edge over the competition. Pre-fishing is something that can hurt or help you depending on how you approach it. Anyone who fishes tournaments has seen more times than not people posting pictures and talking about all the good fish they caught while prefishing, then can’t buy a fish on tournament day. In many cases, you will see the overall weights lower than what you expected. As we all know, fish can shut off at any given time; but after talking to dozens of anglers we all agree it has a lot to do with HOW people are prefishing. Every scenario and every fish is different but the majority of them will not feed again for several hours, or even days, depending on how much stress they went through. This doesn’t mean they completely shut down, but it will change their habits… After all, you did just pull a fish from its bedroom or dinner table! How would you feel if someone pulled you out of the bed or from the dinner table and held you under water for sixty seconds? I bet you would sit down for awhile thinking about what happened. Cooking dinner or going back to bed wouldn’t be first thing on your to-do list. 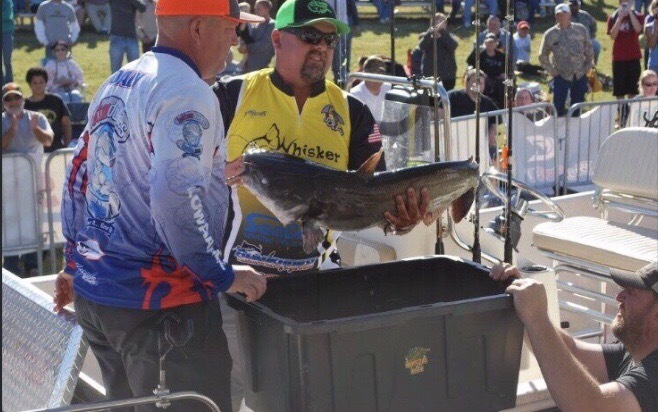 Finding fish is the biggest obstacle when it comes to being successful in competition, how you handle the situation could be even more important. Keep prefishing but rely more on electronics than actual fish in the boat. If you find what looks like good fish, go ahead and drop a line on them. If you catch a good one, mark that spot and get out. Why take the risk of disturbing those fish? Keep moving until you find another spot. Using hookless baits is another good option while pre-fishing. You can figure out what baits are working without putting them through much stress. Because of how far technology has come, the majority of successful tournament fisherman spend a lot more time looking at the screen than actually fishing.